Note: Each player on a team must use a different combat rig. Having two players use the same combat rig will result in a forfeit of the map. Note: Players may not switch combat rigs mid map, doing so will result in a forfeit of the map. 4. If any team fails to report an issue with another team and knows another team is doing something that can get them banned or disqualified from a tournament that team that didn’t report may risk forfeiture and no refund of credits. 8. Users may not share accounts, Xbox Live accounts, PlayStation Network accounts, or any aliases linked a designated player’s account. Doing so can lead to a temporary ban from the site. 9. Any form of abuse of any staff member is prohibited. If a user does abuse a staff member, that user risks a temporary site ban and/or disqualification that said user is participating in currently. 12. In order to be refunded for connection issues you must provide valid proof. The valid proof would have to be: showing that your router is plugged in and and all cords are connected. Then showing the front of the router showing which lights are on/off. Then following the ethernet from your router to your xbox/playstation and showing that it is connected on both ends. Then showing your xbox/playstation not being able to connect to the internet. This must all be in 1 video. Time and Date must be displayed in the proof as well. This needs to be submitted in a tournament support ticket. 2. Players may only use the default version of each weapon. Use of any weapon variant that has been Statistically rebalanced or any other restricted item is subject to the restricted items penalties listed in the Penalties section of this rules page. 3. If a Player finds that they are unable to Aim Down Sights (ADS) properly, they should notify a Tournament Official immediately. If the Tournament Official is able to confirm that this has occurred, they will determine whether the Round/Game should be restarted, the Game win should be awarded to a Team, or the conditions under which the Round/Game should be resumed. 4. 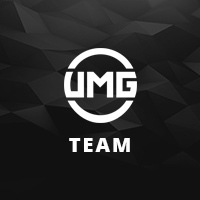 After a Private Match has been created, only Players on the two Teams and UMGO Staff members may be invited/join. If a Player who is not a registered member of one of the Teams (ineligible player) joins a Game, the Game must be ended. If a Player is found to have invited an ineligible Player to a Game, they will Forfeit the Game. 5. If a player lags out during the first 30 second or before the first kill the map or round, the game should be ended and restarted for all game modes. 6. If a player lags out after the first 30 seconds and/or after the first kill, the match must continue. a) If a Player disconnects from a Search and Destroy Game, the current Round must be completed. After that Round has been completed, the Game must be ended. It is the responsibility of the shorthanded Team to end or leave the Game before the start of the next Round. Rounds that are played while a Team is shorthanded will be counted. After a Game is ended, the shorthanded Team will be given 5 minutes for their teammate to return before they must start another Round shorthanded. When the Game resumes, the score will be as it was when the Game was ended and the Teams will be set to resume the Game from proper sides. 7. Any form of cheating, glitching, abusing in-game mechanics, or unsportsmanlike behavior may result in a Forfeit of a Game, Match, or Ban from UMG Online..
10. If your team is competing in mutiple UMG tournaments at once and your team is in the finals of one of these tournaments, your team has 20 minutes from the scheduled match time to play the finals match or your team risks being reported as a no show and can lead to a forfeit of the finals match or being forced to playing man down. 11. Hosting wrong settings will result in a forfeit of the map. We will no longer issue replays as players have been abusing this system. Users must report this issue as soon as it occurs. Teams cannot come to live support after the map/match is over to report the issue. The results of the map/match will stand if so..Settings excluded from this rule are Team Changing, Pre-round/Match timers. Along with other settings that have no direct impact on the game itself. Once a wrong setting is noticed, the non-hosting team is to back out and report the issue immediately to live support. Video proof will be needed. A live support specialist will then determine if a replay of the round is to occur, a restart from where it was ended or a forfeit of the map needs to be issued. 4. If any match that is started and played before the scheduled time, it will not be considered a warm-up and it will count as an official game. 5. Any claims for glitching, banned weapons, or cheating you must contact live support. Please have video proof ready when contacting live support. 6. Teams have up to 5 minutes between maps. Extra time may be given if live support feels it’s necessary to extend the 5 minute time limit. 7. If the hosting team ends the map early before it concludes, the map will continue where the map was ended. Unless stated otherwise by UMG Online staff. 8. Hosting the wrong map will be a replay of the correct map unless the map hosted is included in the current match rotation and the entire map was played out. You will substitute that map for another. For example, the maps are Strike, Vacant, & Bog. The first hosting team hosts Vacant and plays the map out. The second hosting team will host Strike as second map, etc. 1. Tournament matches must be played on time. There is not under any circumstance any delays in the tournament, unless live support allows a delay. 2. Users have 5 minutes from the time their opponent(s) reporting a win/loss to dispute the match or report a loss. Teams that fail to report the outcome of their matches may risk being temporarily banned from the UMG Online for tournament disruption. 3. The use of keyboard and mouse are prohibited from tournament play. Using a keyboard and mouse will result in a disqualification from the tournament if the user(s) being accused have been proven guilty. 1. In a best of 3 series, the lower seeded team (furthers from zero) will host map 1. The higher seeded (closes to zero) team will host map 2. 3rd map host is awarded to the team who won more more rounds between map 1 & 2. If this score is tied, the higher seeded team will host 3rd map. 2. In a best of 5 series, the lower seeded team will host map 1 & 2. The higher seeded team will host maps 3 & 4. 5th map host is awarded to the team who won more more rounds during maps 1, 2, 3, 4 . If this score is tied, the higher seeded team will host 5th map. 1. If a dispute occurs teams must contact tournament live support with valid proof of their claims. If live support is offline, users must submit a tournament support ticket.For proof to be considered valid it must be clear, show the other teams gamertags along with the scoreboard, and must have proof of the accusation. (Cheating/Glitching, etc…). 1. When submitting a ticket, fill out all the whole ticket with the correct information.